Sur Oeste translates from Spanish to English as southwest. The story and correlation behind the name for this cigar is that My Father’s Cigars (the parent company (no pun intended) of Jaime Garcia) was releasing a cigar that was milder than their other cigar lines to attract a larger base of customers; Sur Oeste is that cigar. It was originally intended to be released in the southwest region of the United States including Texas and Oklahoma. Being that I live in Arkansas I am thankful that My Father’s Cigars’ geographical delivery boundaries are not bound by my personal definition of our country’s regions because I would hate to have missed out on this jewel of a cigar. 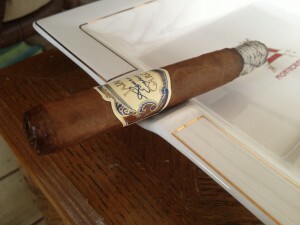 I have been able to smoke and enjoy this cigar several times and it is quickly becoming a go-to cigar for me. 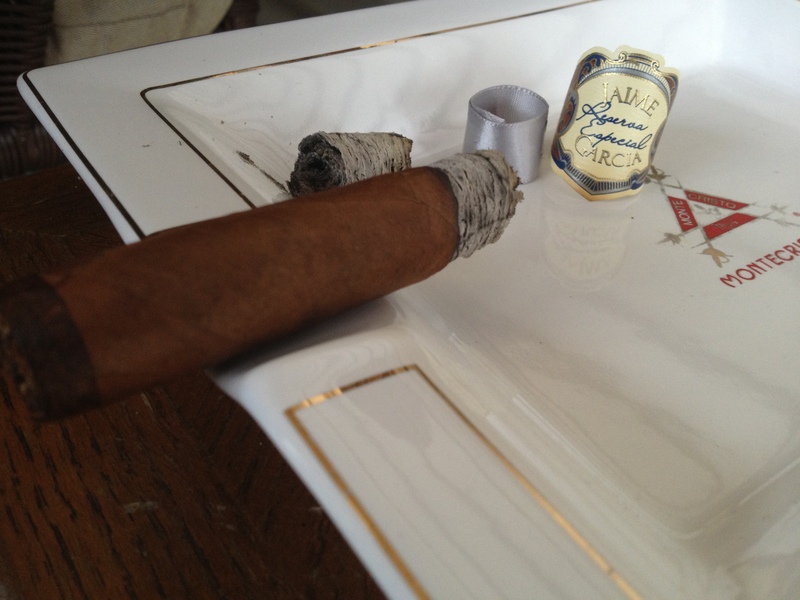 Although I must admit that the Corona Gorda vitola is my preference. The larger vitolas: Robusto (5” x 50) and Toro (6 x 52) are in my opinion not the same in their taste and are, what you could call, too much of a good thing. 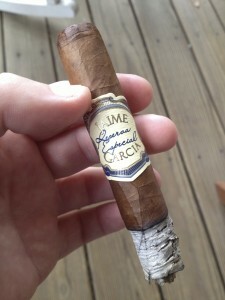 The Corona Gorda to me is just the perfect balance of flavors for this cigar. 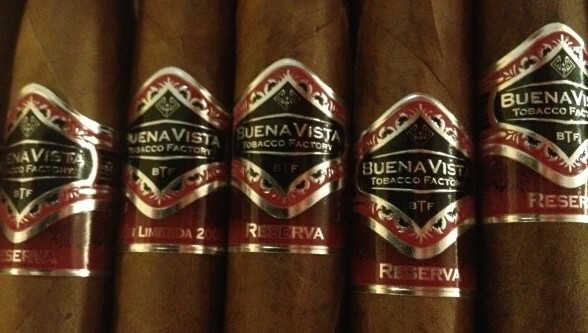 It doesn’t smack you upside the head and knock you out with overpowering flavors but it also isn’t whisper-in-a-library volume level so you strain to try to figure out what flavors are going on with the cigar. It’s just simply the perfect balance of flavors. 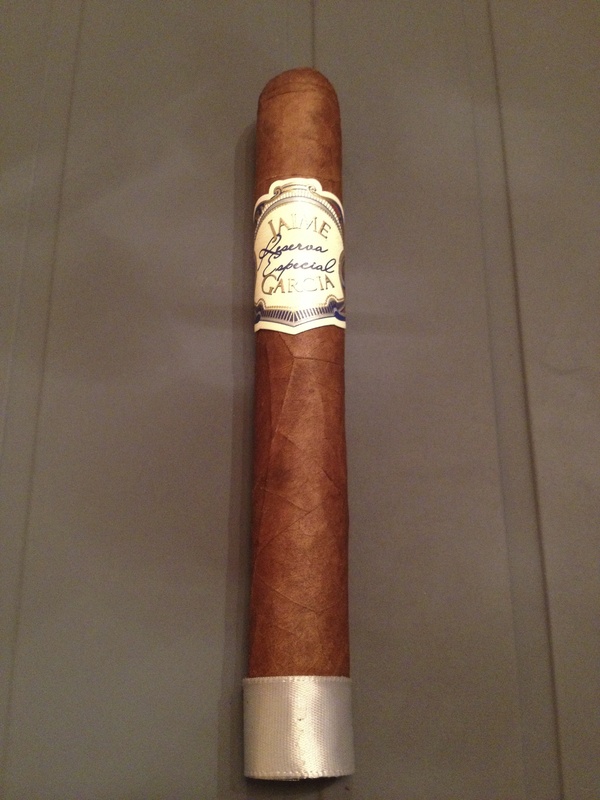 This cigar is an absolutely gorgeous cigar. There are some cigars that look nice, and then there are others that make you want to run to your lighter and get toasting the cigar as fast as possible – this Sur Oeste is definitely the latter. The wrapper is caramel-colored, satiny smooth with visible veins but no visible seams, and it has a nicely constructed triple cap that allowed for an easy cut without any tears when I cut it – it is very annoying when a tear happens. 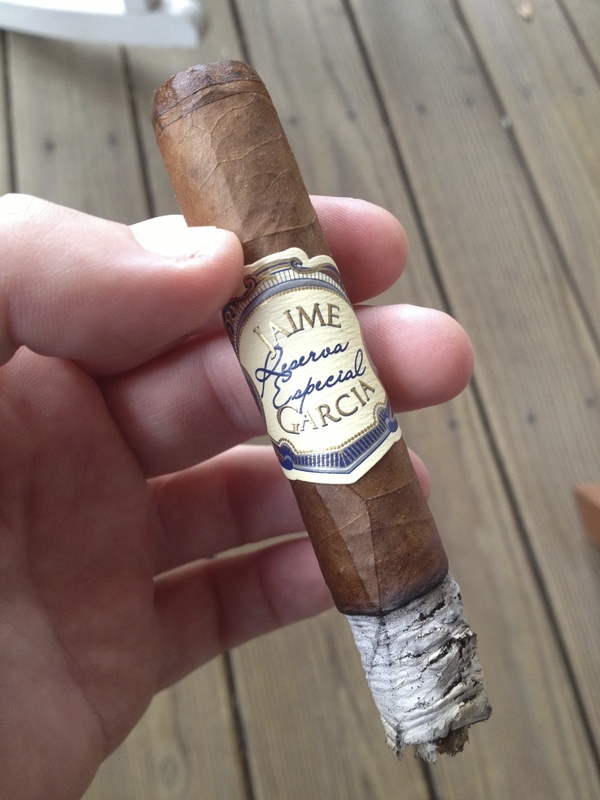 The cigar has the same exact band as the Jaime Garcia Reserva Especial, but the distinction showing this is a Sur Oeste is the grey ribbon foot-band (for those who are new to cigars, you always remove foot-bands before lighting the cigar). The cold draw (a cold draw is when you take a puff on the cigar without it being lit) was extremely tasty and again made me want to run to my lighter as fast as possible and get started in smoking this beauty. The flavors that came through were prominant notes of thick milk chocolate and strong black pepper. The actual draw was like a milkshake; not a thick milkshake but has just enough resistance. 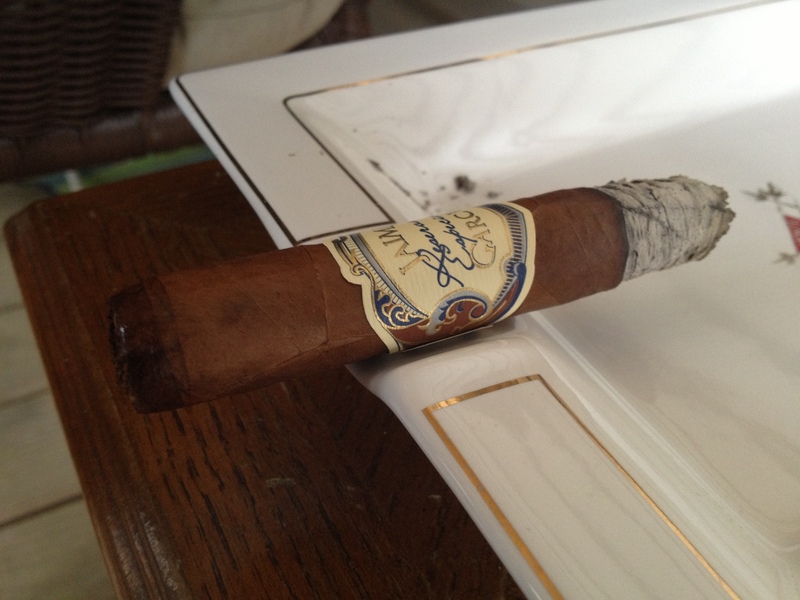 The cigar produced quite a bit of smoke on the draw and also coming off the foot of the cigar. A big billowing cloud of smoke that slowly swirls and wafts away is something I greatly appreciate while enjoying my cigars. The Sur Oeste had an even burn the entire smoke. I can’t say that this particular Sur Oeste was exactly razor sharp, but some of the other Sur Oestes I have had in the past did have razor sharp burns. And of course with it being an even burn it required no touch-ups. When a cigar allows you to simply enjoy it without having to think about touching up an uneven burn you know you have a good cigar. 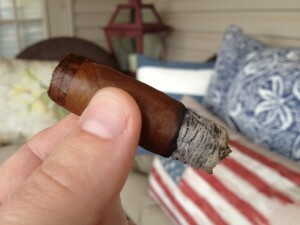 Most of the My Father’s Cigars that I have enjoyed have had the same quality construction in regards to the burn. The beginning of the cigar seemed like it was going to be a quick burn and a short smoke, but it eventually slowed down at about the mid-way point. 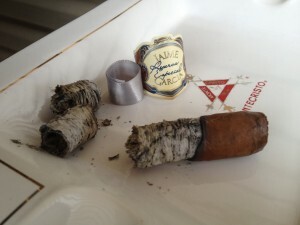 The ash on the cigar was a pretty white and light grey color. It would hold on for about 1” to 1 1/2” each time before falling off. Right off the bat when I light the Sur Oeste there’s an immediate pepper taste that washes throughout my mouth and settles into the back of my throat. After that the flavor notes settle into a soft wood with a primary nutty taste. 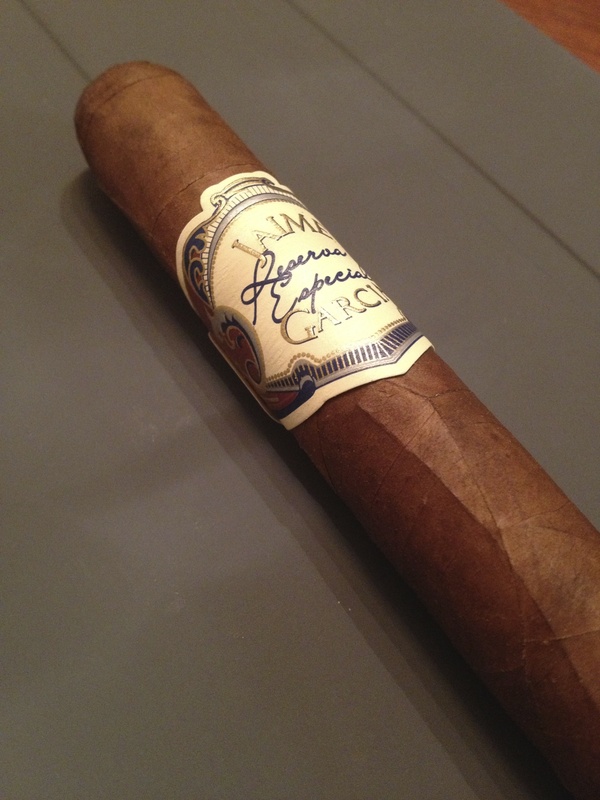 After the cigar warms up a bit the main flavors that I can taste, are a woodsy – close to cedar – and still nutty with there being a sweet taste on my lips. The finish was quite long and was filled with black pepper. There was a great balance between the wood and nut flavors. As I get into the second-third the flavors transition just slightly to have the sweet nuttiness be the dominant flavor, and it definitely sweetened up a bit in regards to the nut; it was like a velvety macadamia or buttery cashew; very pleasant and welcomed flavor. There are starting to be hints of a sweet leather as well. The finish still had a good amount of pepper and a decent lingering length to it. The flavors were very smooth throughout the second-third. 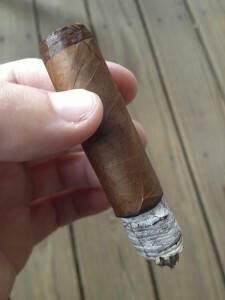 When I get into the final third of the Sur Oeste the flavors had a few more transitions than earlier in the cigar. The flavors started out as instead of a sweet nut to more of a roasted nut – this makes sense because the cigar itself has warmed up a little bit, while still remaining a cool smoke until the very nub. Later, in this final third, for a very brief period there was a faint paint taste on the finish. This may seem that it would lead to a bitter taste but it was not a bitter at all, it was a fresh, clean, very light, and airy paint taste and I actually love the smell of fresh paint so I was ok with it. After that brief little blip on the flavor-radar the flavors settled back into the roasted nuts along with a little bit of leather and a stronger note of wood – in line with cedar. The leather flavor increased in prominence on the smooth, short finish. The Sur Oeste was a medium body cigar with little to no strength. The total time of the smoke was about 1:15, which is great because I do not alway have time to sit down for a 2-hour cigar. 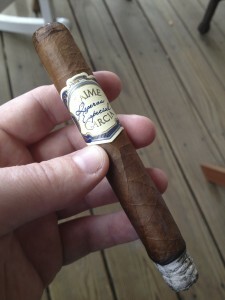 Summing up, I can not say enough that with the quality construction, the delicious flavors, the length of smoke, and the good price-point of this cigar it will, along with the Jaime Garcia Reserva Especial, continue to be a go-to cigar for me. It is a limited release so if you have not enjoyed one I would not waste time in going to your local Brick & Mortar tobacconist to pick one up. I was able to get this cigar at Maduro Cigar Bar & Lounge located in downtown Little Rock. Check them out on facebook and follow them on twitter. If you have not been to Maduro you should visit them soon. With the weather getting colder and the ability to enjoy a cigar outside diminishing there’s no better reason to visit right now. 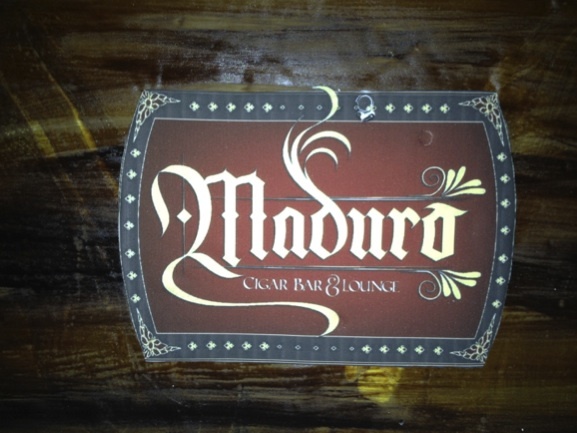 I have been to cigar bars all across the United States and Maduro is definitely one of the nicest. I could list several reasons for why Maduro is such a great place but I think one of the biggest things that stands out to me is the arrangement of the seating. The seating area has all the chairs and tables situated in circles so everyone can talk to each other. In our world today we are so unbelievably connected to our phones, laptops, tablets, etc that it feels weird to connect with actual people. Maduro’s environment is one where it is inviting to unplug from your wired life and have a conversation with a real live person sitting next to you. Maduro has several different seating areas and you can plop yourself in a big leather chairs (some that recline), or big, comfy leather couches as well. There are high tables with tall chairs, and there are booths too. Now, of course if you do want to stay wired-in on your electronic device Maduro has free wi-fi, but may I suggest that you go in, grab a cigar, a Maduro specialty cocktail or beer, plop yourself in a chair and have a great conversation with a friend, a stranger, or one of the friendly and helpful wait-staff.